[Photograph by the Rev. Anne Maxwell] Parishioners from Christ Church, Covington, “Walk to Jerusalem” after the Ash Wednesday Service led by Rev. Morgan MacIntire (far right) and Rev. Anne Maxwell. As the last piece of king cake lingered in the kitchen and brightly colored Mardi Gras beads hung from every tree limb and fence post, the clock struck midnight on February 28 signaling the end of Carnival’s frivolity and overindulgence. The season of Lent had begun. A season to start anew. A season to care for the body, mind, and soul. A season to prepare for the Easter Resurrection. 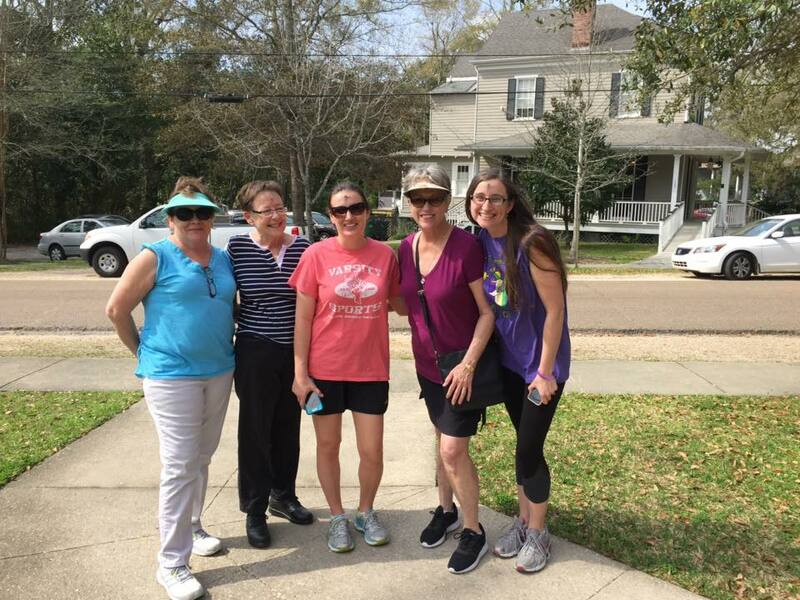 As the sun rose on this fresh new beginning, parishioners of Christ Episcopal Church in Covington, Louisiana, laced up their walking shoes and set out on a 6,837-mile spiritual journey to Jerusalem. Parishioners of Christ Church are participating in the Walk to Jerusalem, a walking program developed by St. John Providence Health System and designed to increase the physical, spiritual and emotional health of participants. The goal is to walk enough miles through the Lenten season to reach Jerusalem by Easter. One key component of the success of the program has been the connection building through a Facebook group where participants can log their miles, post photographs and video, and cheer each other on. People from as far away as Budapest have been participating. Walking groups have also formed. Parishioners walk throughout the neighborhood surrounding Christ Church and along the shores of nearby Lake Ponchartrain. 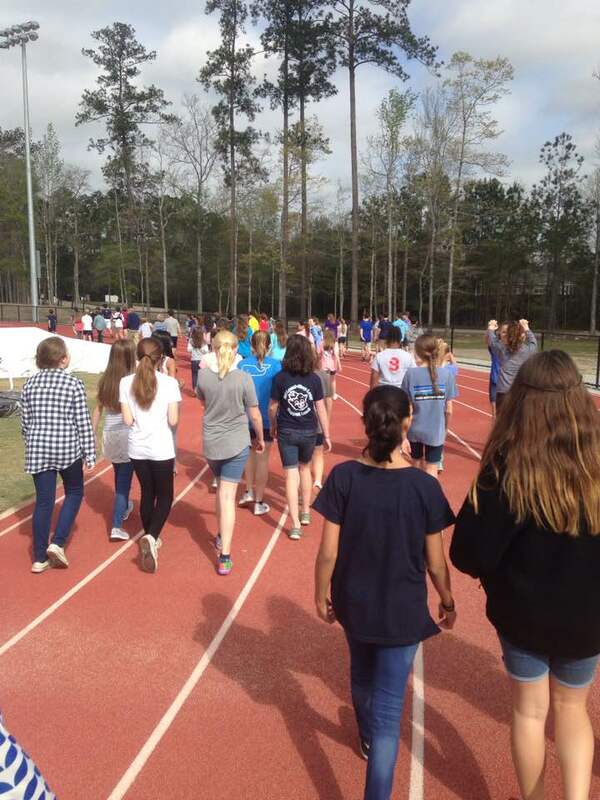 Even the residents of Christwood Retirement Center in Covington, as well as students from Christ Episcopal School in Covington, have logged miles. [Photograph by the Rev. 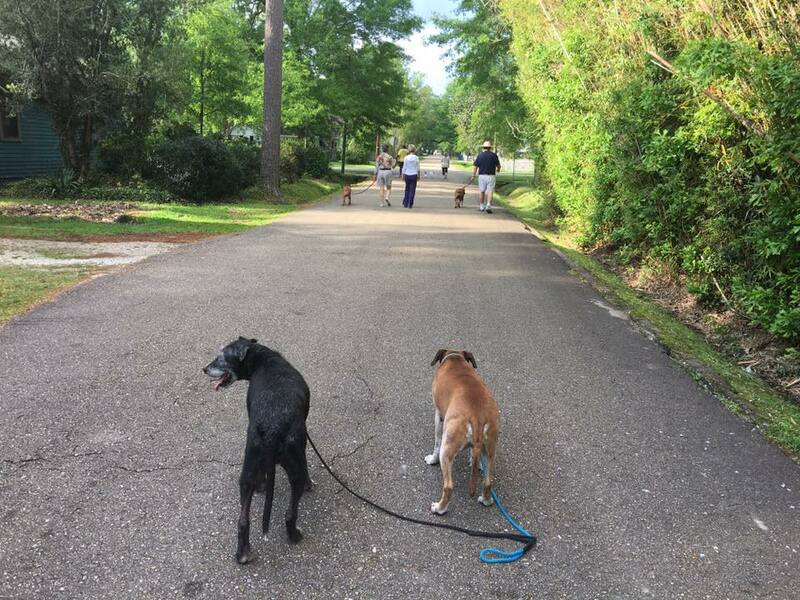 William Miller] Wili and Sinbad Miller bring up the rear to make sure no one gets lost during the Tuesday morning canine and human walking group taking part in the Walk to Jerusalem. The Walk to Jerusalem was the inspiration for another event at Christ Church. There is a one and a half-mile-long walking Stations of the Cross that stops at local businesses and churches in downtown Covington. Maxwell and Youth Director Blake Burns created the station in partnership with Covington Presbyterian Church. [Photograph by Karen Mackey] Walking the Stations of the Cross in downtown Covington. Update: The final mileage tally was announced on Easter Sunday morning. Participants of the Walking to Jerusalem program walked a total of 16,615 miles, almost 2.5 times the mileage between Covington and Jerusalem.